This wooden stand consists of metal feet and a central wooden stem dotted with slanted holes. We are unsure of the original use of this object however its shape lends itself to a variety of uses. 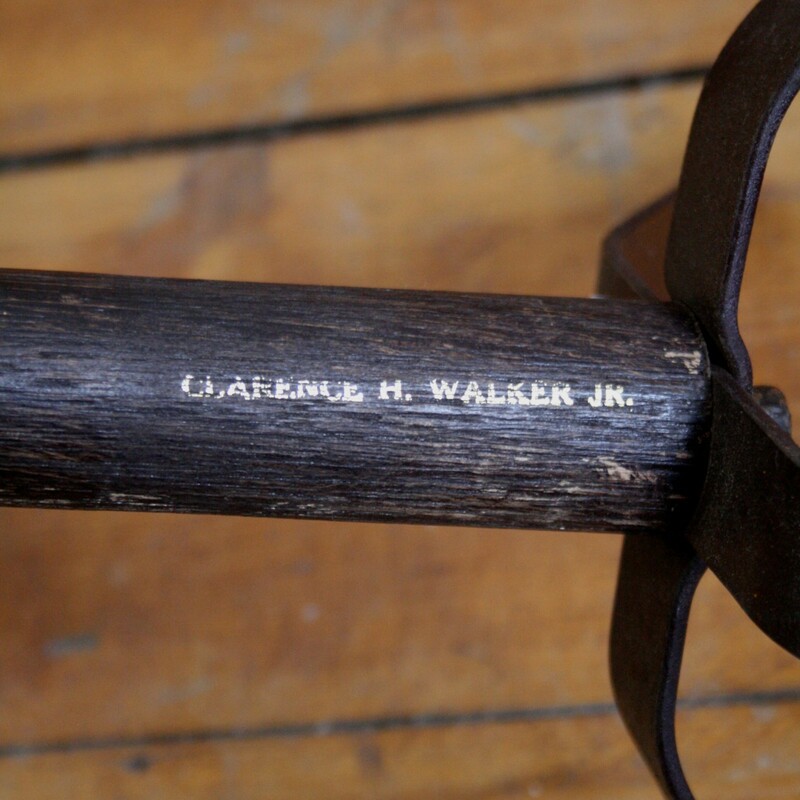 It is stamped with the name Clarence H Walker Jr.